Growth Advisory is a guided implementation of the Marketing Results Strategy Map with Marketing Results founder and serial entrepreneur, Will Swayne. Growth Advisory is a very unique, impactful solution for companies wanting a holistic assessment of their growth opportunities… and then specific guidance toward executing on growth. This program has been 15 years in the making and is available to a maximum of 4 clients at a time. (With 2 slots currently taken). Working with 350+ companies (plus founding and rapidly growing 4 of my own) has enabled me to know right where to look; how to interpret the data; how to pinpoint the most viable growth levers; and how to execute and realise growth potential. First, you contact me by calling 1300 RESULTS (1300 737 858) or completing our contact form (mention “Growth Advisory”). We arrange a time to speak briefly about your situation and whether or not this is a good fit for you. Assuming you do want to move forward…. Second, I find the next available dates to conduct a deep “Growth Analysis” of your business. Benchmarking the current performance of your traffic generation, website conversion, lead nurturing, sales conversion and client retention functions. Mapping out the next steps in building effective automation and client conversion systems in your business. Distilling all the above into a 12-month Growth Action Plan, to be executed collaboratively in the months ahead. All of the above is designed to unearth, prioritise and realise Tangible Growth Opportunities in your business. As a rule of thumb: if you’re already investing at least $10K per month on your marketing function (across paid search budgets, SEO consultants, internal marketing salaries, website designers and developers etc), then you’ll usually see an almost instant ROI. Fourth, I’ll work with you personally to oversee the implementation of your Growth Action Plan. 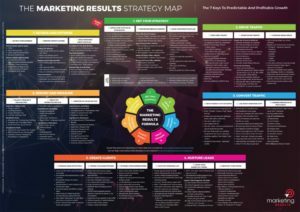 The focus will be executing the entire Digital Marketing Strategy Map in your business. This includes high-leverage implementation of paid search, SEO and conversion initiatives, plus senior oversight and guidance of in-house or external members of your overall marketing team. It may also include introductions to trusted and vetted freelancers or other specialists who can help drive your implementation efforts (often for a fraction of the cost of a traditional marketing agency). Once we commence, our engagement continues in “Calendar Quarters” by mutual agreement, with no long-term contract. Your investment is $3,000 + GST per month. You will also need to allocate some budget for implementation (e.g. paid search spend, other supporting resources). You will begin to see positive change very early in the process, by trimming waste, faster decision making, access to more proficient resources, better measurement and proven execution frameworks. Every Quarter is engineered to deliver a positive Return On Investment for you. I have capacity for 4 engagements only. At the time of writing, 2 slots are taken. For around a third the cost of a mid-level marketing manager, you get access to an entrepreneurial growth professional, plus an extended network of associates, who can help you scale much faster and at lower cost than you otherwise could achieve on your own. Get in touch to set up an exploratory chat and see if this is a mutual fit.